The World Series of Beer Pong® XIII stormed through Las Vegas this past July (2018), and will be coming back for more this summer (July 2019). There were more than enough fireworks on the 4th of July, when BPONG.COM® kicked off the tournament festivities by hosting the first-ever WSOBP® Draft Tournament inside Topgolf Las Vegas! 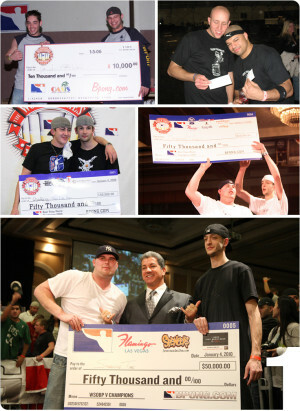 Throughout the following days, 10s of thousands of dollars were awarded through various tournaments beyond just The WSOBP® Main Event, including: Men’s & Women’s Randoms, Men’s & Women’s East vs. West, Men’s & Women’s Singles, as well as, a Co-ed Tournament, International Tournament, House Rules Tournament, and a Main Event Consolation Tournament. Read on to see how each event played out! 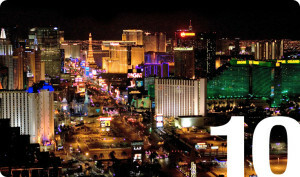 Players from around the world gathered at one of the premier sports venues in sin city. 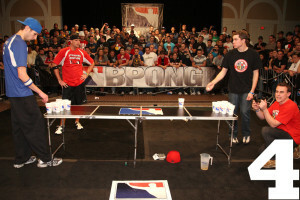 Captains were appointed by BPONG.COM® and the top players on the planet selected their squads, LIVE for the very first time in the history of The World Series of Beer Pong®. An all-star panel of players and organizers hosted a Live Streaming Draft Show from the VIP level at Topgolf. Each selection was analyzed by some of the games brightest. Guests of the show included Captains, Drafted Players and BPONG/WSOBP Management. The first overall pick came out of Crowley, Louisiana, in way of Seth Beglis, who was selected by Captain Steven Tremblay of Winnipeg, Manitoba, Canada. 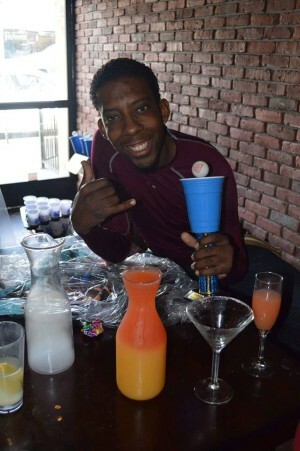 Captain TJ Rhone, of Bryans Road, Maryland, had the 8th overall pick in the draft and was able to assemble a team that he led to The WSOBP®’s first-ever 6v6 Draft Championship! A Random Tournament consists of all participants not knowing who their partner will be upon entering the tournament. Player names are all thrown into a hat and partners are generated randomly through the luck of the draw. On the Men’s side Cody Atherton of Lake Charles, Louisiana, and Cory Eggleston of Las Vegas, Nevada, topped Ethan Wald of Pahrump, Nevada, and David Feichter of Innsbruck, Tirol, Austria, for the Men’s Random Tournament Championship. Jason Hershfield of San Jose, California, and Ross Hampton of St. Louis, Missouri, rounded out the cash spots in the Men’s bracket with a 3rd place finish. Candi Squartsoff of Port Lions, Alaska, and Meagan Neary of Mesa, Arizona, defeated Sara Schauman of Livonia, Michigan, and Mo Weckner of St. Petersburg, Florida, to finish with an unblemished record and claim the Women’s Random Tournament Championship. Priscilla Kusmierz of Phoenix, Arizona, and Heather Giardina of Langhorne, Pennsylvania, scooped up the rest of the cash in the Women’s bracket by securing 3rd place. The Men’s and Women’s East vs. West Tournaments place a restriction on partner pairings by limiting players to their choice of teammate based on which side of the Mississippi River they live on. Players may only team up if they live on the same side of the Mississippi River. Greg Johnson of Federal Heights, Colorado, and Kevin Vaughn of Littleton, Colorado, fell just short of an East vs. West Title. This year, a West Coast team, consisting of David Diaz of Los Angeles, California, and Casey Costa of San Jose, California, took home the win! Team MAVA locked up the third place finish in the Men’s Bracket. In the Women’s East v. West Tournament the tides rolled in favor of the East Coast as Melissa Perkins of Colorado Springs, Colorado, and Breanna Cordova of Aurora, Colorado, caught the short-end of the stick when they were beat in the Championship game of the Women’s East vs. West Tournament by Valerie Lasko of Bound Brook, New Jersey, and Cristal Lara of Hawthorne, New Jersey. Candi Squartsoff of Port Lions, Alaska and Mariah O’Brien of Renton, Washington took home a 3rd place finish. 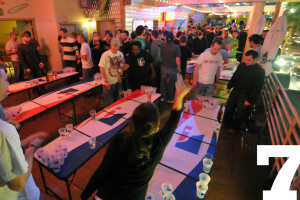 With the game of beer pong booming overseas, The WSOBP® has players from all over the world. Over 20 countries participated this year in The WSOBP® XIII Main Event! The International Tournament allows players to participate only if they live outside of the United States. This year, Nico Bose and Marcel Hasler of Germany were victorious over defending International Tournament Champions Manual Senfter and David Feichter of Austria. Justin Swain and Mike Frank of Canada finished 3rd. The Main Event provides players with a guaranteed 12-prelim games. The preliminary play advances and seeds the teams into the Day 3 Playoff Brackets. The top 160 teams at The WSOBP® advance to the final day of Main Event competition. On the first day of preliminary play at The WSOBP® XIII, 4 of each teams 12 prelim games are played. The following day, the remaining 8 prelim games are played for each team. The Co-Ed Tournament at The WSOBP® is a crowd favorite. Each team must consist of one male and one female player! Candi Squartsoff of Port Lions, Alaska, once again found herself in the money, and this time it was with Justin Spurrier of Henderson, Nevada. The pair was able to knock off another familiar face, David Diaz of San Jose, California, and his partner Charvel Redd-Shepard of Henderson, Nevada. Cody Atherton of Lake Charles, Louisiana and Heather Mendez of Bernards, New Jersey, took the rest of the cash with their 3rd place finish. 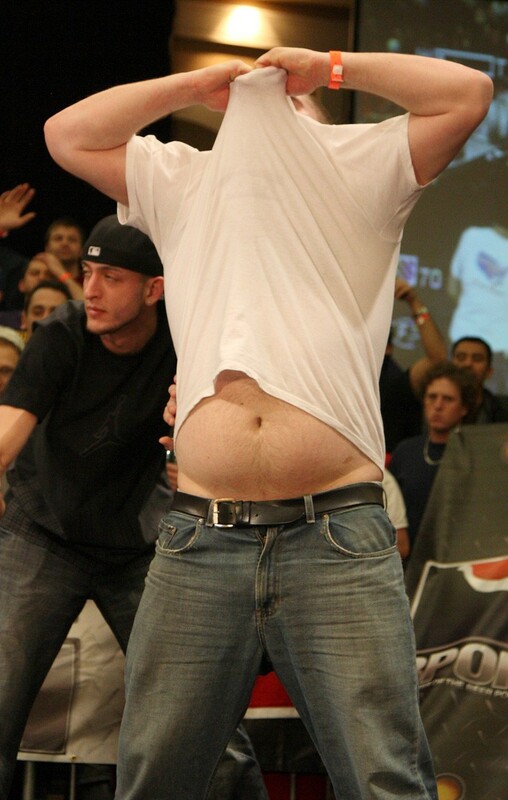 Day 2 of The World Series of Beer Pong® is when things really start to heat up! Teams feel the pressure of having to win games or potentially run the risk of not making the cut for the Day 3 Playoff Brackets on the final day of competition. The Men’s and Women’s Singles Tournaments are the crown jewels of achievement among Side Event titles – It’s just you against the world! 1v1. Man vs. Man. Woman vs. Woman. There’s nobody to blame or carry you to victory besides yourself! This is where new players can really make a name for themself. Donnie Jones of Warren, Michigan, beat Sven Anderson of Cape Coral, Florida, in the finals of the Men’s Singles Tournament to maintain a perfect 7-0 record and secure one of the toughest titles to win. Jared Knierman of Odessa, Florida finished 3rd. Heather Giardina of Langhorne, Pennsylvania, makes another appearance in the money by claiming her second WSOBP® Women’s Singles Title over another multi-tournament cash out player, Melissa Perkins of Colorado Springs, Colorado. Rachel Goldsmith of Stafford Township, New Jersey finished 3rd. The House Rules Tournament at The WSOBP® is a tournament with common, party-like set of rules. Many new players may or may not find some of these rules a little more familiar towards how they’ve played at home or a friend’s place. Bobbi and Jeremy Harrison won an all Washington state House Rules Tournament final, taking down Sean Ashe and Brandon Still. Team “Just Met” finished 3rd. Didn’t make the cut for the Day 3 Playoffs? No sweat, we’ve got you covered! The Main Event Consolation Tournament is for all the squads that placed below 160th after the first two days of Preliminary Play! This year, we allowed Free Entry into The Main Event Consolation Tournament and gave away the very first set of WSOBP® XIV Bids for next year’s Main Event. 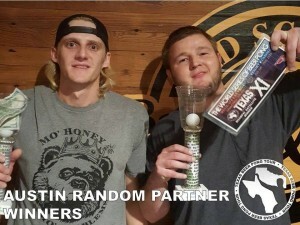 Jeffrey Griffiths of Kent, Washington, and Shawn Edge of Marysville, Washington, are the first to stamp their ticket into The World Series of Beer Pong® XIV after defeating Victor Cardenas of Phoenix, Arizona, and Maverick Langdon of Renton, Washington. Anissa Garcia of Robstown, Texas, and Megan Morris of Jacksboro, Texas, finished 3rd. This is it!! The moment you’ve all been waiting for! It’s do or die, win or go home! All the money is on the table. Legacies are at stake and World Champions are to be made! The top 160 teams from the first two days of competition battle it out to see who will become the next World Series of Beer Pong® Champions! After grinding through bracket play, Brewtality – Presented by OGP (Ross Hampton of St. Louis and David Talamantez of Austin, Texas), with a sparkling 20-0 record, were set to square off against Troop Unchained (Brandon Clarke of Bridgewater, New Jersey, and Matt Kein of Hillsborough, New Jersey). Ross Hampton and Brandon Clarke both already had one World Series of Beer Pong® Championship Banner in the rafters at Westgate Las Vegas. David Talamantez fell just short of his first WSOBP® World Title at The World Series of Beer Pong® X, when he was defeated on the Final Table. 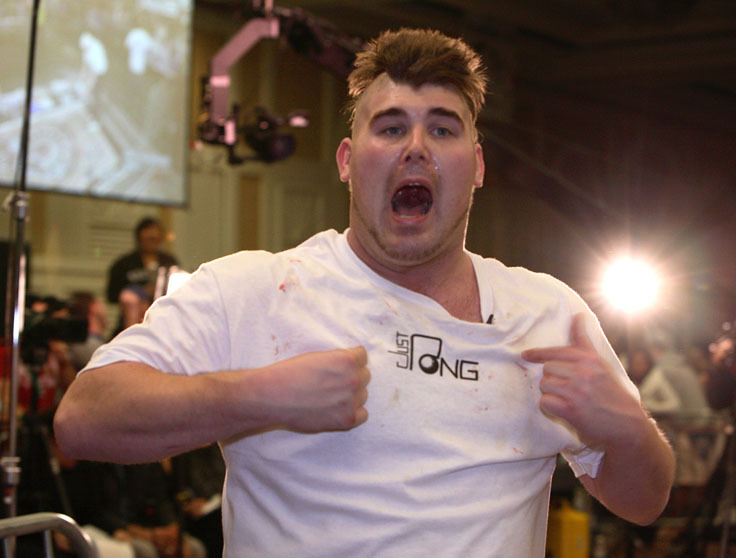 It was Matt Kein’s first appearance on a WSOBP® Final Table. After special guest and famed sports announcer Bruce Buffer properly introduced all Final Table participants, the games were under way. Troop Unchained came out swinging and took game 1 of a best-of-3 series. An opportunity to finish the job was not wasted. Troop Unchained swept the final series by claiming game 2 and handed Brewtality their first two losses of The World Series of Beer Pong® XIII. Brandon Clarke becomes just the 3rd person to win multiple WSOBP® Main Event Championships and only the 2nd player to win it with 2 different partners! 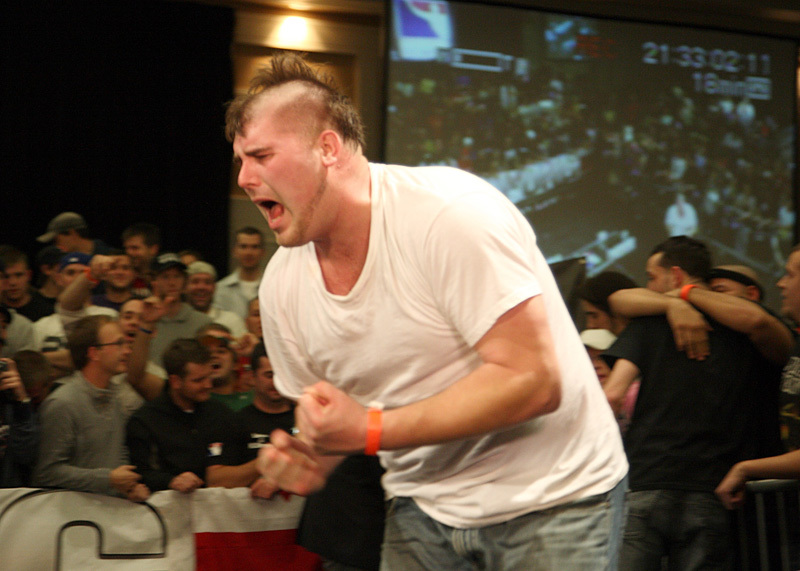 Matt Kein secured his first WSOBP® Main Event Championship! 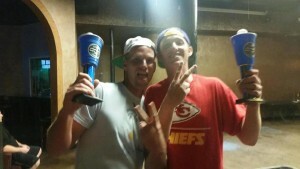 A huge congratulations goes out to Brandon Clarke and Matt Kein of Troop Unchained for taking down the most lucrative beer pong tournament on the planet – The World Series of Beer Pong®! 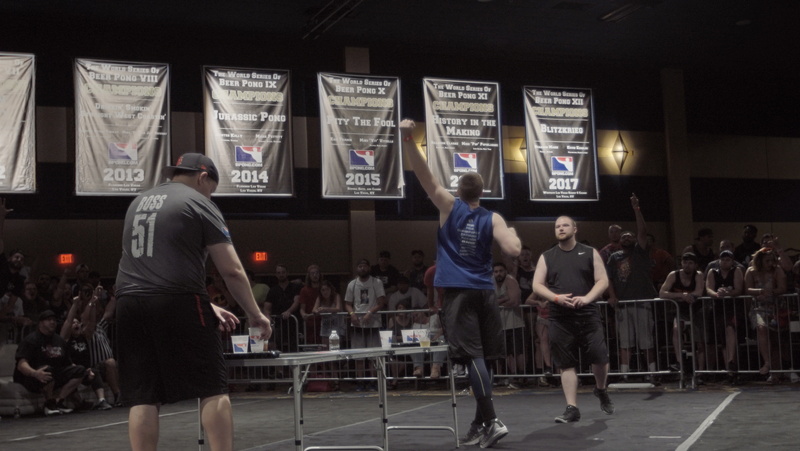 If you’d like to participate in next year’s World Series of Beer Pong® XIV Main Event, July 3-7th, 2019, please visit (BPONG.COM/WSOBP) to register now! Pro Tip: Take advantage of our Early Bird pricing and save BIG. WSOBP XI Top Team Predictions – The Countdown is On! With just 10 days to go until The World Series of Beer Pong XI, we are going to begin previewing some of the best teams that will be in attendance at this year’s main event by highlighting who we think has a good chance at ending up within reach of the top spot! Continue reading WSOBP XI Top Team Predictions – The Countdown is On! Take your beer pong game to the next level! Many still think “binge drinking party game” when they hear “beer pong.” However, over the past decade we’ve developed an extension to that root, establishing a much greater value to the game. 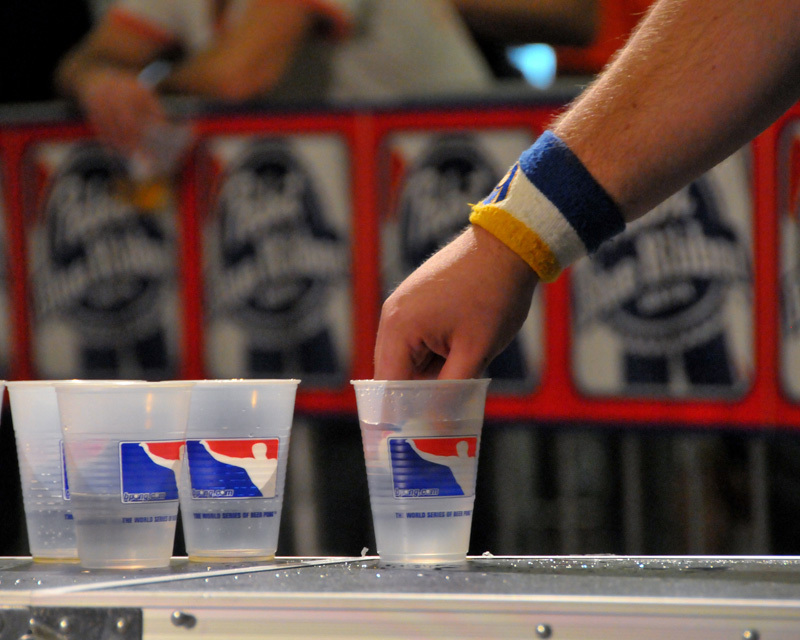 The World Series of Beer Pong has paid out over $500,000 in prizes through its Main Event. 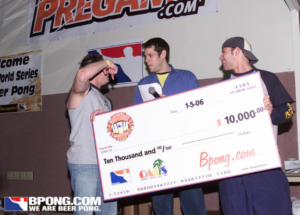 The WSOBP side events and affiliated organization’s competitive beer pong tournaments add a significant chunk of change on top of that $500K to total a substantial sum of cash that has been awarded to “professional” beer pong players all around the world. 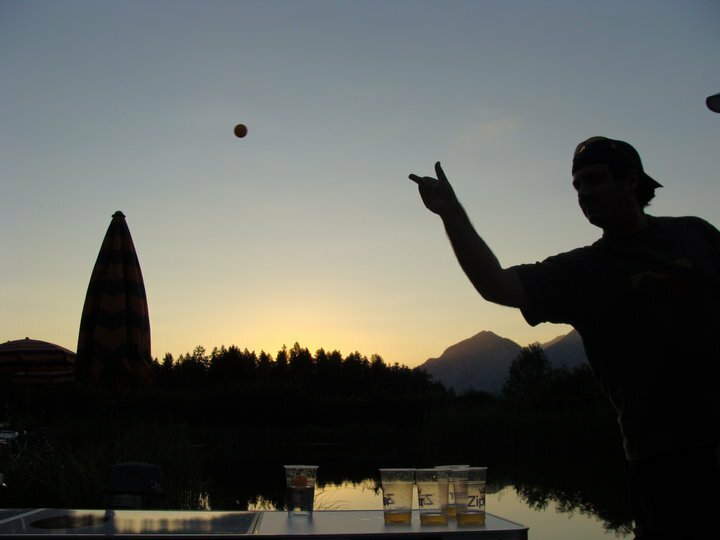 Continue reading Take your beer pong game to the next level! 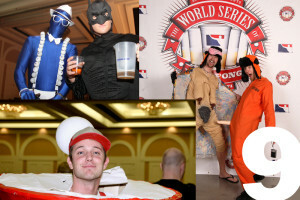 As The World Series of Beer Pong XI approaches (July 6-10th @ Westgate Las Vegas Resort & Casino) and players begin to lock in their partners for the event, there is a lot to consider. Partner selection for a large, super-competitive event like The WSOBP is key. As it turns out, chemistry still counts for something in beer pong. Preparing for your first World Series of Beer Pong tournament can be difficult; especially, if you haven’t had the pleasure of attending one of our affiliate organization’s fantastic pong events beforehand. 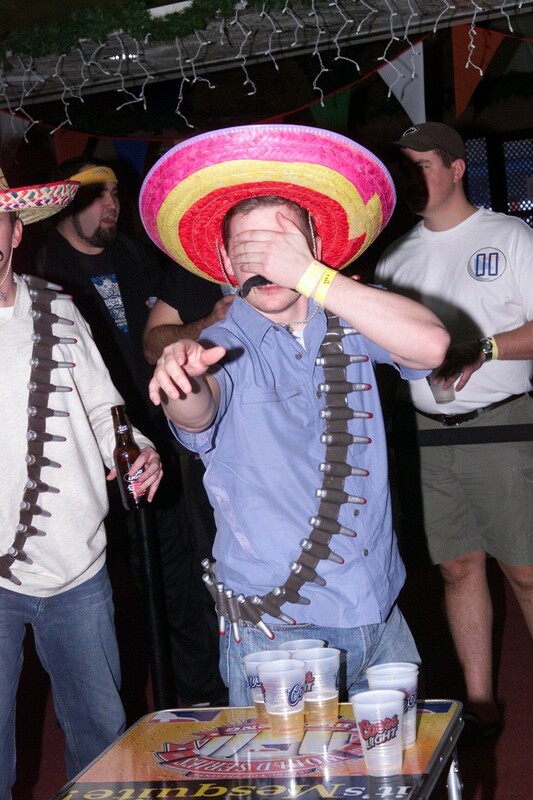 We are going to give you all who don’t quite know what to expect a little insight on how to better strap yourself in to make the best of your experience at The World Series of Beer Pong! Let’s get the obvious out of the way. It is very hard to describe the adrenaline that will rush through your veins when you walk into a Las Vegas Ballroom filled with hundreds of beer pong tables, see thousands of beer pong players and realize you are about to play beer pong for $50,000; even having already experienced it. Therefore, trying to imagine what it will be like having never been before is nearly impossible. The environment is one like you’ve never experienced. In any case, the first thing to always remember is that you are there to have fun! There will be teams that go 12-0 during preliminary play; there will be teams that go 0-12. Nobody thinks they are going to lose every single game walking into the tournament but if it happens to you, take it with a grain of salt and you’ll still have an amazing time. There will be unicorns and aliens walking around Westgate Resort & Casino that you won’t be able to recognize because they will look just like everybody else in the ballroom. Though, if you feel like you may have been matched up against a pair of monsters during prelims, don’t get discouraged. You could be playing a former World Series Champion or a player who has banked 10’s of thousands of dollars playing this sport over the last decade. Focus up, play to the best of your abilities and take notes. Don’t let these guys get in your head either! The best defense is a strong mental game and a witty mouth. If you’ve let someone trash talk their way under your skin, you’ve lost the game and more importantly, you won’t be having any fun. Appreciate their intent (trying to win the game), laugh if they say something funny, don’t take it to heart, realize that it’s all a part of the game and don’t let it affect yours! If you are there for more than just the party and beer you should shoot for a 7-5 record during prelims and hold your breathe. 7-5 has been good enough to make the cut for the Day 3 Playoff Bracket in most years. On more rare occasions 6-6 records have made the cut, however, there have also been years when you’ve needed to have a polished 8-4 record to get in. Relax! Come ready to play, but relax. The environment is incredible and different from the first two days. Everyone wants to bring their A game, but it happens all to often that players who’ve never been there before become overwhelmed, play anxious and get upset with themselves when they don’t shoot up to their abilities. If you advance, keep your head on your shoulders and don’t let the satisfaction of potentially surpassing your expectations dilute your focus. You never know whose day it is and it may just be yours! Though eventually, everybody falls but 1 team. When it’s your turn to get erased from the bracket, stick around and pick someone to root for. Supporting your friends (or maybe your new friends from another country) is almost as fun as playing yourself! It’s not the end of the world. It was your first crack at it and the competition is tough! 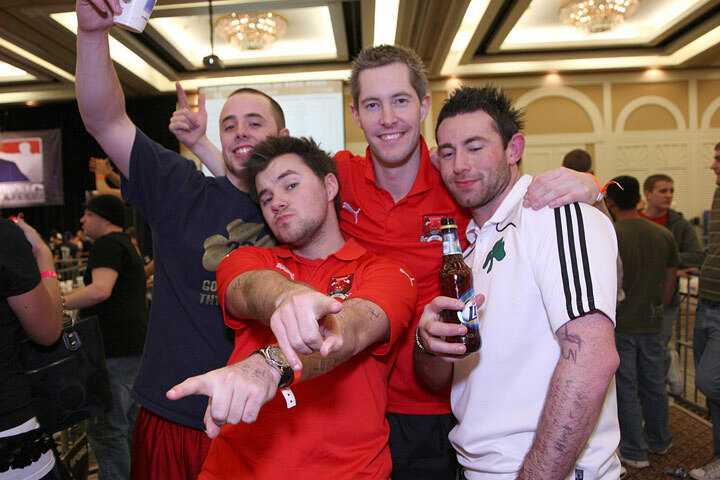 Take advantage of the many side events, sponsor activities and the one thing that none of us have yet to experience at The World Series of Beer Pong, the summertime, Vegas sun! If you’ve enjoyed your time, get to know some people and find a place to play close to home. Elevate your game, come back next year and do it all again! 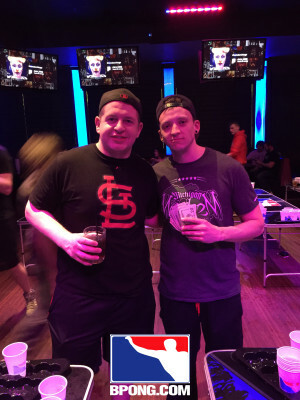 This past weekend showed the prowess of The World Series of Beer Pong™, as more than 20 players qualified themselves for The WSOBP™ Main Event by securing a tournament victory at one of the five World Series of Beer Pong™ Satellite™ Tournaments that took place around the country! We’ll start our recap tour in Kirkland, Washington, at Rose Hill Hideout where Northwest Beer Pong was slated to qualify a team for The World Series of Beer Pong™ XI! Participants were randomly matched against opponents for 6 preliminary games that would be used to seed teams into a double-elimination playoff bracket. Former World Series of Beer Pong Champion, Matt White, teamed up with Brad “Moose” Mosdell and paid tribute to Chris Cash, a close friend of Matt’s that had recently passed away, by playing under the team name: “Cash Money’s Final Hand.” It’s to no surprise that a World Champion’s tournament dedication to a fallen friend would end in victory. 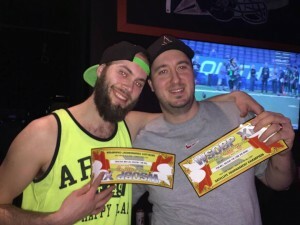 White and Mosdell pulled through to claim the 1st place prize of qualified entry into The World Series of Beer Pong™ XI, complete with 4-night accommodations at Westgate Las Vegas Resort & Casino. Thomas Hoistad and Chris Sherwood were beat out on the final table, after fighting their way through nearly 20 teams, but didn’t exactly go home empty handed. Chris and Thomas pocketed a quick $200 for their efforts. Next, we head a bit south and pick up on a ton of action at Johnny V’s in sunny San Diego. 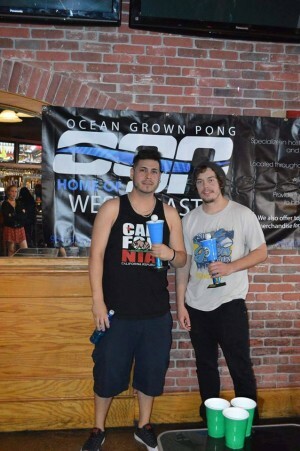 Ocean Grown Pong filled up the entire weekend with tournaments and handed out 14 individual bids (bid = qualified entry into The WSOBP™ & Hotel accommodations) via 8 different World Series of Beer Pong™ XI Satellite Tournaments! That’s over $5000 worth of prizes that OGP gave out at The 2nd Annual SoCal WSOBP™ BidFEST! Friday’s event consisted of a Men’s and Women’s Singles (1v1) tournament, as well as, a 2v2 double-elimination tournament. Former World Series of Beer Pong™ Women’s Singles Champion, Brandi Wrathall of Nevada, took down the ladies tournament, while Nicholas Bland of California cashed in on the Men’s side of the singles tournaments. 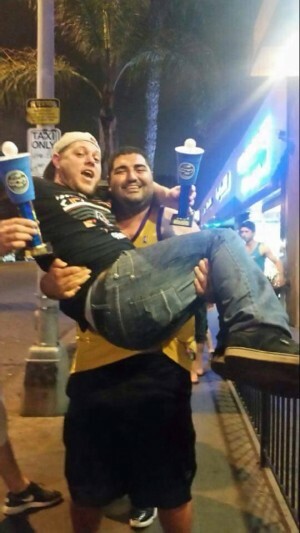 Former World Series of Beer Pong™ Champion, Byron Findley of California, teamed up with fellow Californian, Zakary Corsi, and claimed the last seat in the winner’s circle on Friday night via a victory in the 2v2 tournament. Saturday’s schedule had 3 different tournaments on tap that all varied in format. The first was a multi-partner tournament, meaning each player participated with a different partner in two separate brackets with the winners of each bracket meeting in a best 2-out-of-3 final series. Ryan Smith and Scott Muller, both of California, came out on top of the multi-partner tournament. The 2nd of the trio of Saturday tournaments was a Co-ed tournament. Each team had to consist of 1 male and 1 female player. Ryan Smith collected his 2nd victory of the evening, as Charlie De Hoop, also of California, stamped her ticket into The WSOBP™ Main Event. Finishing off a day full of pong was a change of pace for most, as “House Rules” were implemented into a competitive tournament. David Diaz and Justin Herman, both of California, claimed the bid, elbows and all! Sunday kicked-off the final day of BidFEST with another multi-partner tournament and finished with a tourney where an element of surprise was thrown into the mix as players were NOT allowed to pick their own partner! Each team was paired by randomly drawing names from the participant pool to complete teams. David Diaz finished the weekend and collected multiple wins, as he and Ethan Wald finished atop the field in the multi-partner tournament. Ethan Wald also walked away with multiple wins on the weekend as he doubled-up on Sunday and won the Random Tournament alongside Mark Pimentel. 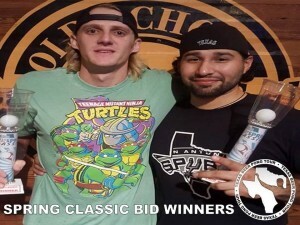 Continuing to the south on our recap tour, we pull into Old School Bar and Grill in Austin, Texas, where The Texas Beer Pong Tour awarded multiple players with WSOBP™ bids and cold hard cash! 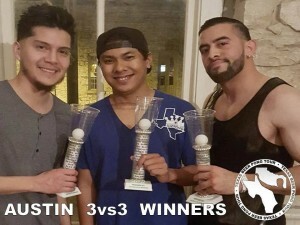 3v3 was the name of the game in Texas! During 3v3 play, each team has 3 players per side and sets up an extra 5 cups. (15 cups in total.) 3 balls are shot per-side! Roland Ortiz, Adrian Damasco, and Mando Roman filled out the roster that took home the WSOBP™ XI Bids. Texas also got a little tricky and mixed in a Random draw tournament of their own, which rewarded Robert Williamson with his qualified entry into The WSOBP™ Main Event. His partner Rob Dix cashed in on a $300 cash prize for his share of the random draw prize, as his ticket to the big show in Vegas was written long ago. Dix also picked up an additional win with his partner James Alanis while playing for qualified entry into The Spring Classic! Just a “few” miles to the northeast, The Chicago House of Music & Entertainment was rocking with nearly 100 players from 11 different states, who partook in a Quad-Bracket World Series of Beer Pong™ XI Satellite Tournament. Each player was allowed 1 entry into 4 individual single elimination brackets. Each player had to play with a different partner in each of those 4 brackets. The winners of each individual bracket met in a best 2-out-of-3 semi-finals series. The winners of the semi-finals squared off in a best 2-out-of-3 final series. Brendan Dyelle of Rochester, Michigan, picked a couple of doozy partners from St. Louis and came roaring out of 2 different brackets, placing him in both semi-final series. The first semi-finals saw Dyelle and former World Series of Beer Pong™ Champion, Ross Hampton, take down Scott Frew and Andy DeCaluwe of Illinois to advance to the finals. Dyelle prevailed again in the second semi-final bracket with Brent Saale beating out Johnny Fourdyce of Illinois and his partner Michael “Sunshine” Kloiber of Kentucky, to advance both of his teams to the final series. Wait what? (This means, Brendan Dyelle had already won the entire tournament without even having to play in the final series.) Dyelle kicked back and watched his two partners play 1v1 to decide who’d share his first place prize with him and who’d take a share of 2nd. Ross Hampton trumped Brent Saale 2-0 in the final series to claim his share of 1st place. Dyelle took home a bid to The WSOBP™ and $375 cash. 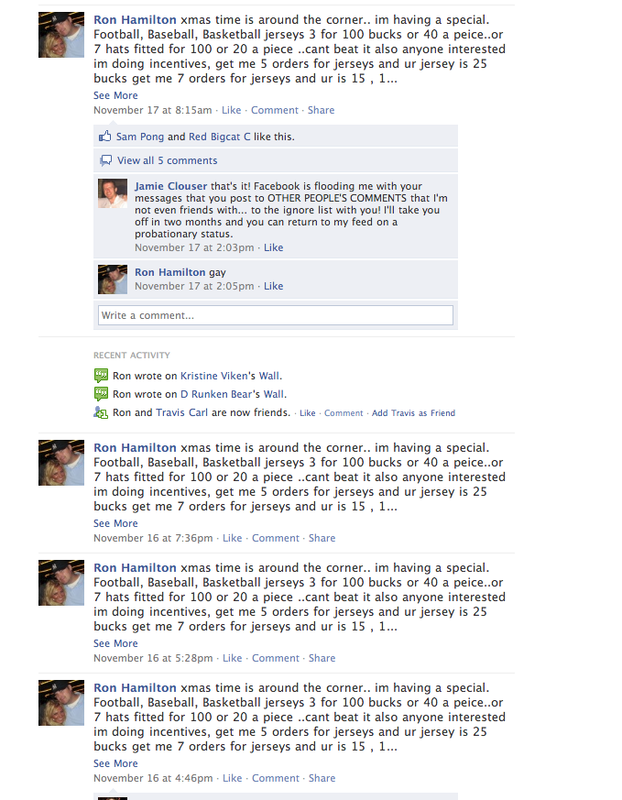 Hampton banked his 2nd bid of the season and $250 in cash. Saale walked away with $125 for his efforts. 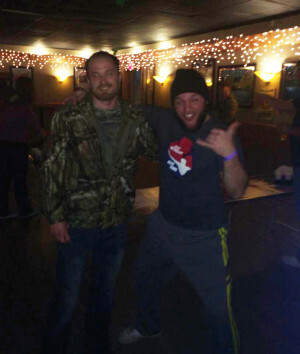 Last but not least, we make one more stop and travel even further north to Bay Lanes Bowling and Banquet Center in Bay City, Michigan, where Boozin’ Bob decided 3 days before the big weekend that he wanted to be apart of all the fun! It’s risky business putting so much up for grabs with such little time for players to secure partners and make plans to play but Boozin’ Bob made it happen! He saw an opportunity with some of the best players in the state making the trip down to Chicago to open up the field for non-bid winners to finally scratch their names into the reservation book at The WSOBP™ for the first time, and he capitalized on that opportunity. The format varied from all the others over the weekend. It was a double-bracket tournament; however, players were only allowed to pick their partners for one of them. The other side of the bracket was random draw. 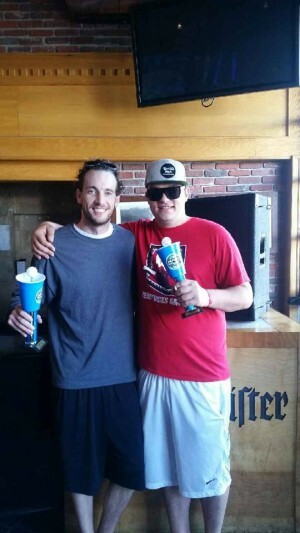 Brandon Juracek, better known as “Homeless” and his partner Clarence Johnson chalked up the Satellite Tournament win. Me too, Clarence. Me too. On behalf of BPONG™ and The World Series of Beer Pong™, we’d like to thank all the organizers who put so much time and effort into making these awesome tournaments happen! We’d also like to thank all the players who came out to play this past weekend!